A Carnauba based wax formulated to provide a brilliant, deep shine to all colors. 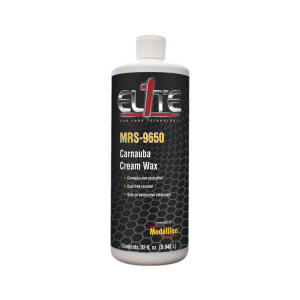 EL1TE Carnauba Cream Wax wipes off the surface easy and leaves no dust behind. This advanced formula will not stain plastic or rubber trim pieces and is safe for use on automotive clearcoats.